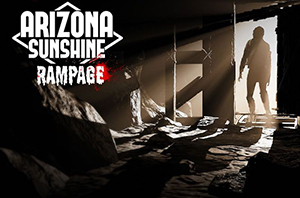 Nomadic, a virtual reality manufacturer based in California, US, has announced a new immersive, interactive mixed reality experience, Arizona Sunshine: Rampage. This is the sequel of the company’s last release, Arizona Sunshine, a location-based VR attraction. Arriving later this spring at the company’s VR arcade in Orlando, Florida, Rampage introduces a new score-chaser feature, virtual goods upgrades and enhanced effects to increase the user experience. “From the beginning, we’ve experienced a tremendous outpouring of support from the Orlando area,” said Doug Griffin, Nomadic CEO. In Rampage, guests are tasked with re-entering a zombie-infested refinery via the building’s sewer system. Once inside, players must destroy all of the remaining infected creatures and remnants of a contaminated cure that has accelerated the outbreak. Rampage, described as a darker and grittier game, includes weapon upgrades that will each have their own unique look and feel, including specific haptic recoils. “People who visit Nomadic are seeing the future of both virtual reality and location-based attractions. Our team works to achieve a level of psychological ‘buy-in’ that simply isn’t possible to have at home. “These are the most deeply immersive, tactile and realistic virtual reality experiences ever developed, and now we are adding to the replay-ability in many new and innovative ways,” said Griffin. The company’s debut location is now open in Orlando, Florida. Venues in California and Las Vegas are in the works, and more US and international locations are planned.